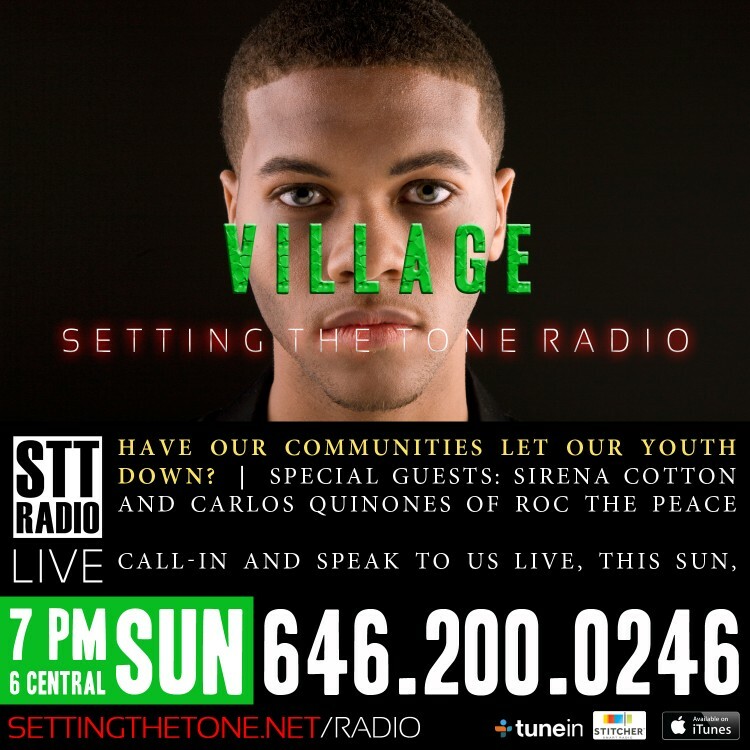 Setting The Tone Radio LIVE presents "Village"
ROC the Peace founder Sirena Cotton sits down with Setting The Tone Radio™ LIVE to discuss this year’s July 18th event. She also addresses some pertinent issues facing the community. Cotton is joined in the discussion by fellow RTP volunteer and activist Carlos Quinones. He is a recording artist known by the monikers C-Lo Dubai and Upstate Original, from music collective H.E.X.X. With thousands of listeners, STT Radio, known as “WSTT” aims to discuss national current events and local community issues alike. Visit settingthetoneradio.com for more information or to subscribe to weekly podcasts.